We were greatly honoured this week to find that one of our recipes from The Rotten Food Cookbook was incorporated into a Moulin Rouge! themed immersive cinema experience. Secret Cinema, a UK based company, hosts big name events. 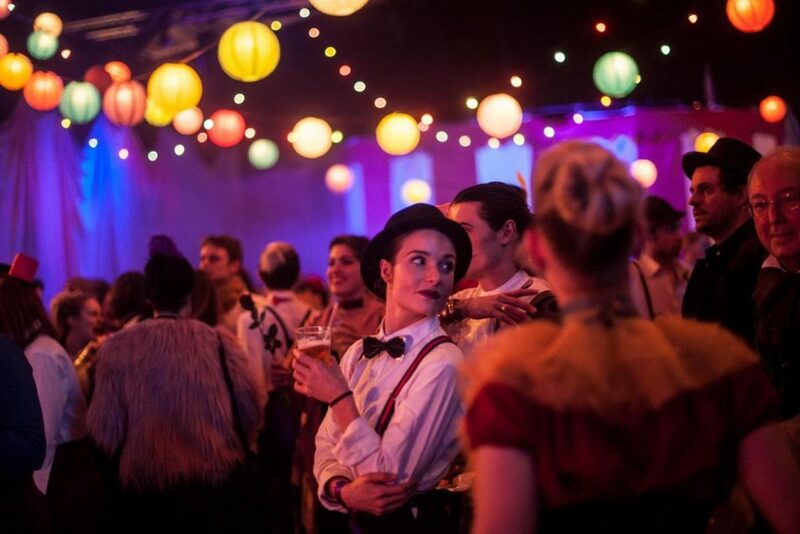 The cult production company’s most ambitious project yet, based on Baz Luhrmann’s 2001 blockbuster starring Nicole Kidman and Ewan McGregor, launched last week and saw a warehouse in Newham transformed into Montmartre in Paris. Visitors are given a character and come in full costume and are surrounded by grand sets and actors who bring the singing, dancing hedonistic world of the film to life. At least a dozen people have reported symptoms of severe food poisoning and the local council has received numerous complaints. The cause is likely to be a liberal serving of Oysters Killed Patrick. Shane van de Vorstenbosch, author of The Rotten Food Cookbook said “it is great to see that people have been reading my cookbook, but I think they may have missed the point”.